As online merchants, you may be hearing the term “dynamic segmentation” quite a lot, recently. Before diving into the details, let us first look at the mechanics of online purchasing behavior. As we all may guess, online shopping is quite dynamic in the sense that a visitor – who is even at the very beginning of the eCommerce purchase funnel – has the chance to visit tens of online stores and view a few hundreds of products. Given the variety and depth of the online product portfolio (Amazon offers 200M products only on its US store), we can imagine that the shoppers start to experience a ‘choice overload problem’ as the psychology scholars put it. When the online shopper is bombarded with several product options, he/she tends to dynamically change her shopping behaviour. When she first visits the e-commerce site, she may be looking for a casual dress and can easily end up buying a pair of trousers for her son. Understanding and profiling the online visitors in this kind of an environment is crucial in converting to shoppers and then ensuring repeat purchases. At this point, dynamic segmentation comes into play! The traditional segmentation methodology locates the users in segments by looking at their previous actions whereas in dynamic segmentation, the segments are formed in real-time and a person could move from one segment to another at every click. With the help of dynamic segmentation marketing, it is possible to customize the marketing messages towards individuals and in real-time. Dynamic segmentation is closely related to behavioral marketing in the sense that the behaviors of the online shoppers in the dynamic segments are triggering certain targeted behavioral marketing campaigns. We have Katie here who is searching for Christmas presents for her beloved ones. For this, she visits a department store’s online shop and finds her way through the categories. On Monday, she looks for a present for her mom and on Tuesday morning she views some kids clothing. That same Tuesday evening, she gets an e-mail from a men’s only retailer and visits their site in hopes of finding the perfect present for her husband. Katie is a 34 year old, college graduate and lives in suburbia. That’s what she stated while signing-up for an e-commerce website. Her demographics stay the same whereas her purchase behaviour changes even a few times a day. Traditional segmentation models are not enough to capture these behavioural changes in real-time but dynamic segmentation is able to come up with a model in which every single click can be defined and attributed to a new segment. There may be some other customers on this same site who share the same behavioural pattern with that of Katie’s and all these people form a segment and in some cases a segment of one. On a big online retailer, at a given time, thousands of dynamic segments can be formed. Thus, a solid email marketing strategy should be able to accomodate such dynamic segmentation models. 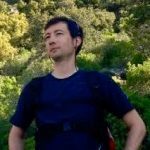 Let’s think about Jason who is an investor banker mainly shopping for suits and formal menswear on xyz.com. He has recenlty moved into a new appartment and has decided to buy sporting equipments for his new condo. He searches for the keyword “threadmill” on his favorite online store and starts to view the alternative items that come up on site search. He feels that he is not yet ready to make a purchase and leaves the website. Two days after, he decides to search again for a threadmill and visits xyz.com, again. He lands on the homepage and suddenly his recent threadmill searches – along with personalized threadmill recommendations – appear. He decides on one of the options and finalises the purchase. In this example if xyz.com had not used dynamic segmentation and relied only on Jason’s previous purchases, product recommendations involving suits would have appeared on the homepage and the threadmill sale would not have been realised. 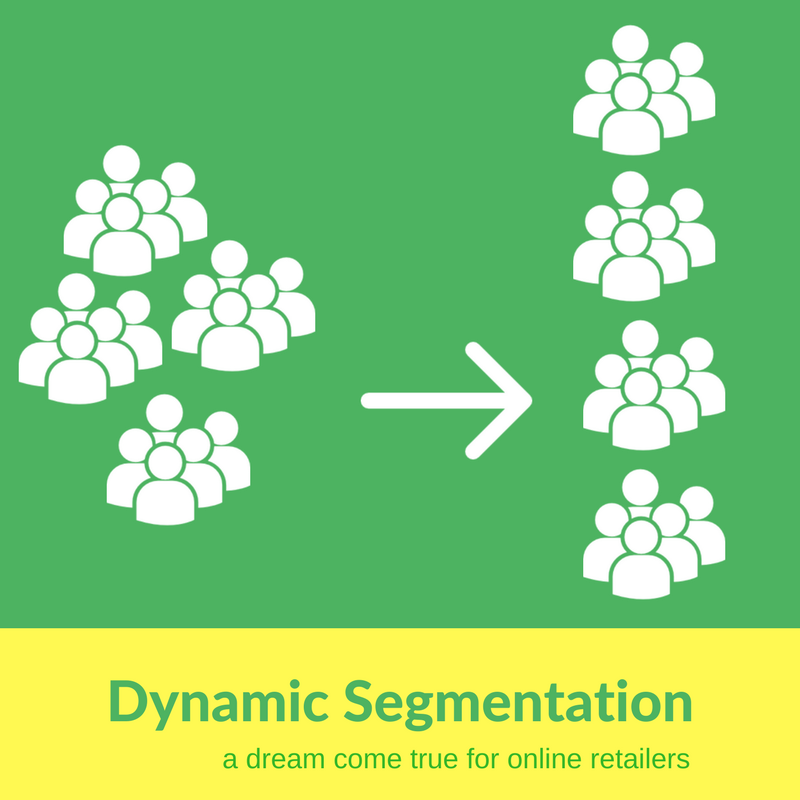 The uses of dynamic segmentation are currently being investigated in the field of e-commerce. When powered with complex event processing and personalization algorithms, dynamic segmentation could translate into a huge success for the online retailers. 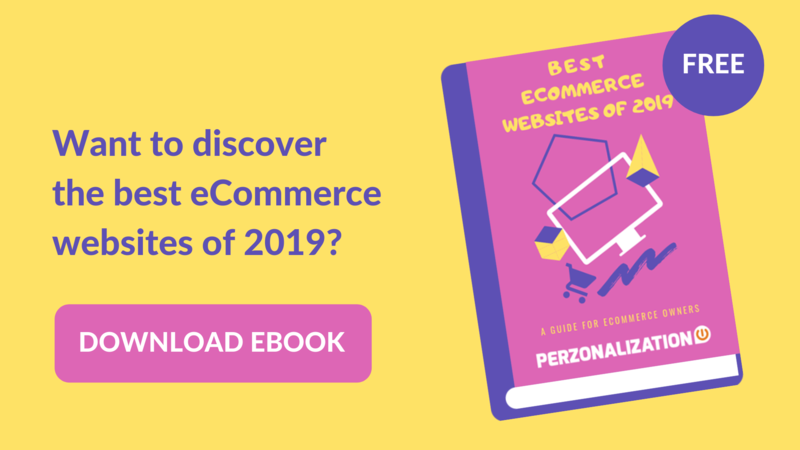 Luckily today, even small online shops using hosted shopping cart solutions like Shopify or WooCommerce are able to gain a competitive advantage via AI powered dynamic segmentation apps like Perzonalization.